makes the best travel guides around! Hawaii travel guide is fantastic. 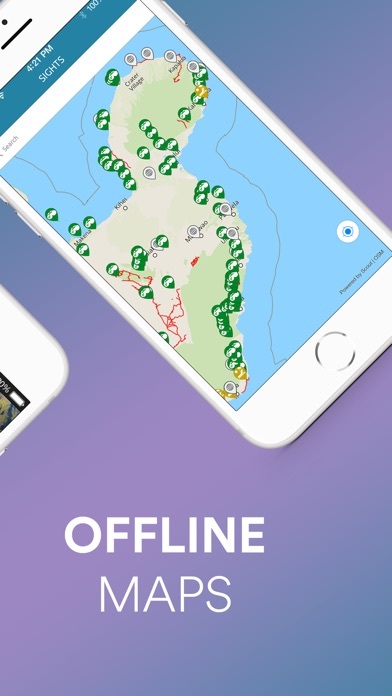 It works offline, has tons of restaurants and hotels marked on the map, and super detailed tourist information. The interface is sleek and easy to use as well. Even the least tech-savvy person can use it. 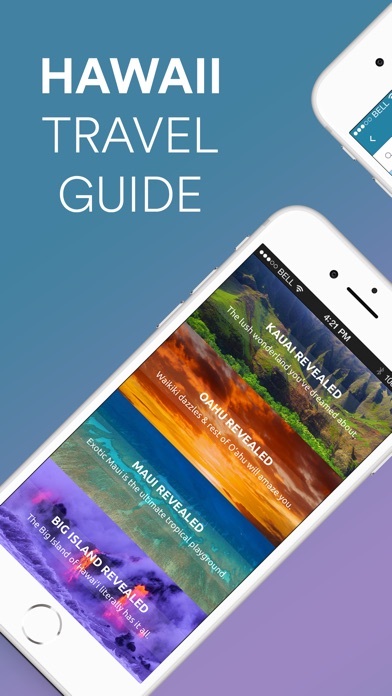 This app made planning our family's first trip to Hawaii so much easier! 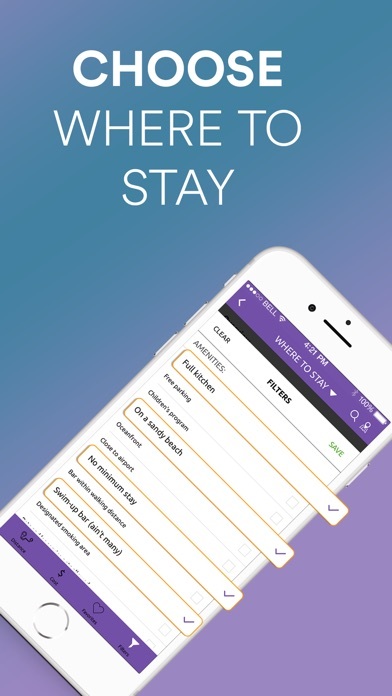 The app is clean and easy to navigate. My family all downloaded the app and we were all able to find things we wanted to do and places we wanted to eat with ease! Great app! Would highly recommend! Easy to use, excellent pictures and descriptions. 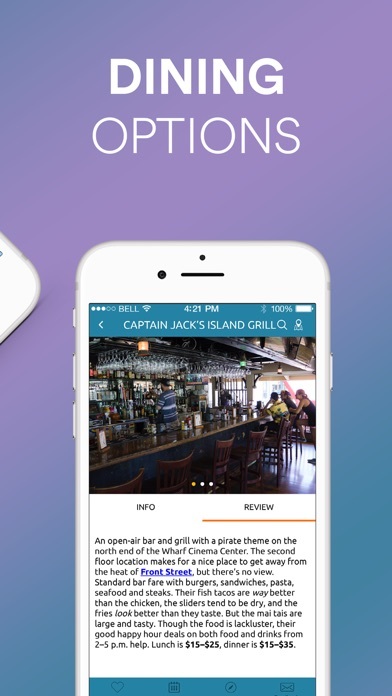 It’s your own personal tour guide in an app. 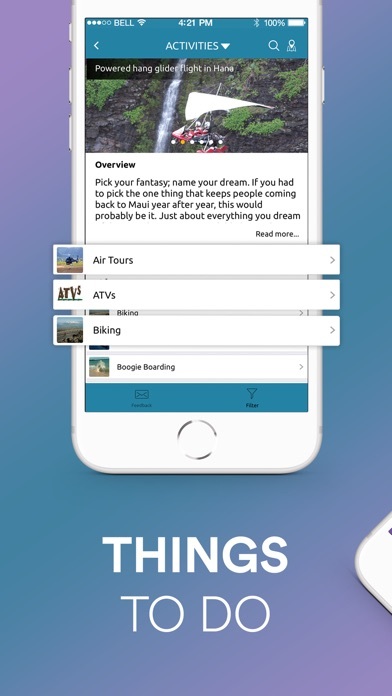 All you have to do is decide what you want to do and the app will guide you to your next adventure! This is a must when you travel to the island. It is so simple to use and shows you very clear directions! I’m definitely keeping this for the next few trips there! I have loved your books for many years. Tried out the app last year and have really enjoyed it. I currently have an IPhone X. it seems every time you update the app, I have to delete it and reinstall it. Not sure what is going on. When I open the app, it goes to the start up screen and then closes back out to my home screen. Any thoughts? The content here is great, but there are two things that mar it. First, I have two 2018 iPad Pros and one iPhone. The iPhone and one iPad have no problems with the App. The other iPad can’t get past the first set of screens with the get started at the bottom. Clicking “Getting Started” does nothing. Second, it should be possible to share info with families. We have already bought the book and adding a subscription to the data for each member is expensive. Give us a four or five device limit or something, but this is a big bummer. I purchased BigIslandRevealed a couple of years ago and now I have to repurchase the Hawaii Revealed app because they will not update to the current iOS of my phone. Living on Maui, I always would tell people to buy the apps but not anymore. I especially love the Hawaii travel guide tour section about travel passes and ways to save money. we are backpackers and not rolling in money so this really helped us see the beautiful city and stay within our budget. especially it is more useful.